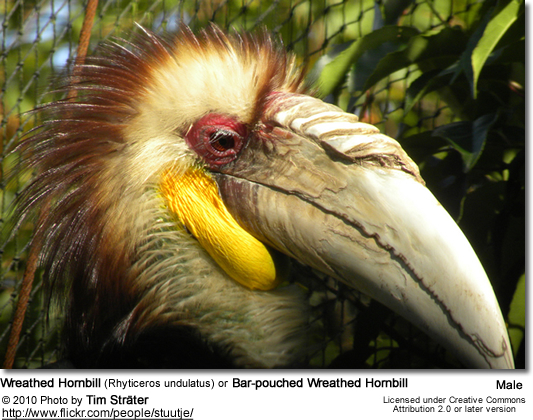 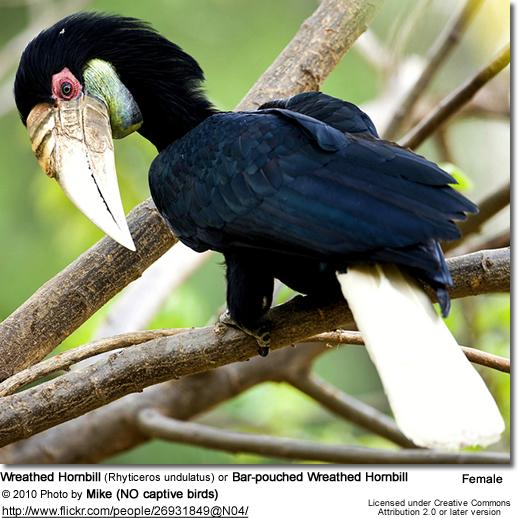 The Wreathed Hornbill (Rhyticeros undulatus), also known as the Bar-pouched Wreathed Hornbill, is a species of hornbill found in forests from far north-eastern India and Bhutan, east and south through mainland south-east Asia and the Greater Sundas, except Sulawesi. 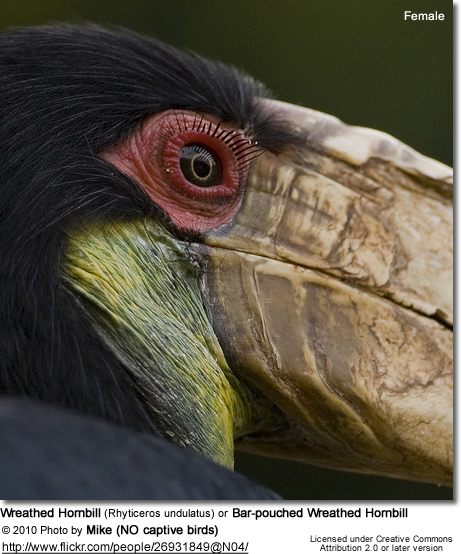 It is 75–100 cm (30–40 in) long. 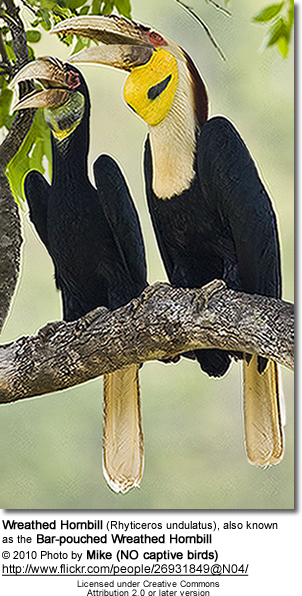 Males weigh from 1.8 kg (4 lbs) to 3.65 kg (8 lbs), females weigh from 1.36 kg (3 lbs) to 2.7 kg (6 lbs). 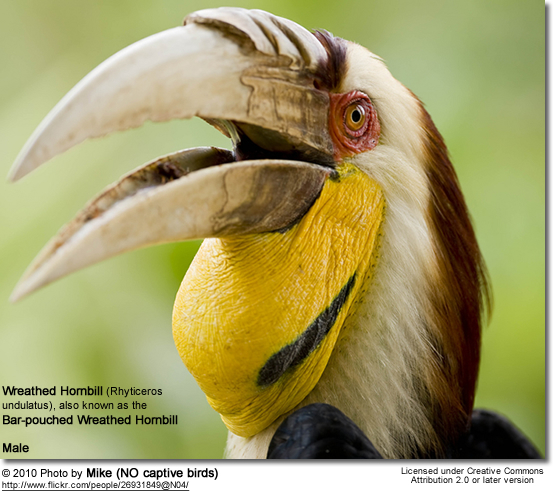 Both sexes are similar to the respective sexes of the closely related Plain-pouched Hornbill, but they can be recognized by the lack of a dark bar on their throat (hence the alternative common name for the Wreathed Hornbill; Bar-pouched).